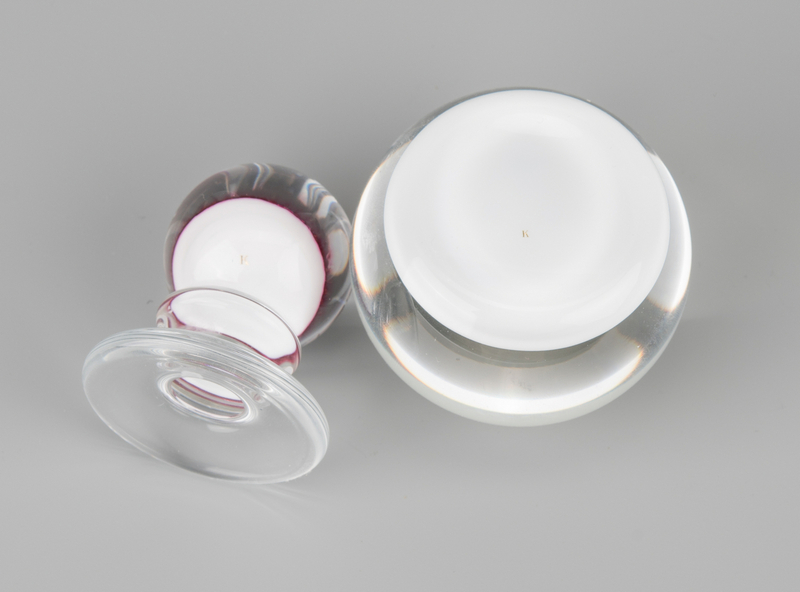 Lot 689: Group of 4 Paperweights, incl. Charles Kasiun, Jr.
You are here: Home >> 2017 01 21 Auction - Knoxville, TN >> Lot 689: Group of 4 Paperweights, incl. Charles Kasiun, Jr.
1st & 2nd items: 2 Charles Kaziun Jr. paperweights including a pedestal form with white flower on red speckled ground (2" H) and pansy on white ground (2 1/4" dia.). Both with gold 'K" signature stamp. 3rd item: Gibson floral paperweight having dark blue trumpet flowers. Signed "Gibson" and dated 1989 on the base. 3 1/4" diameter. 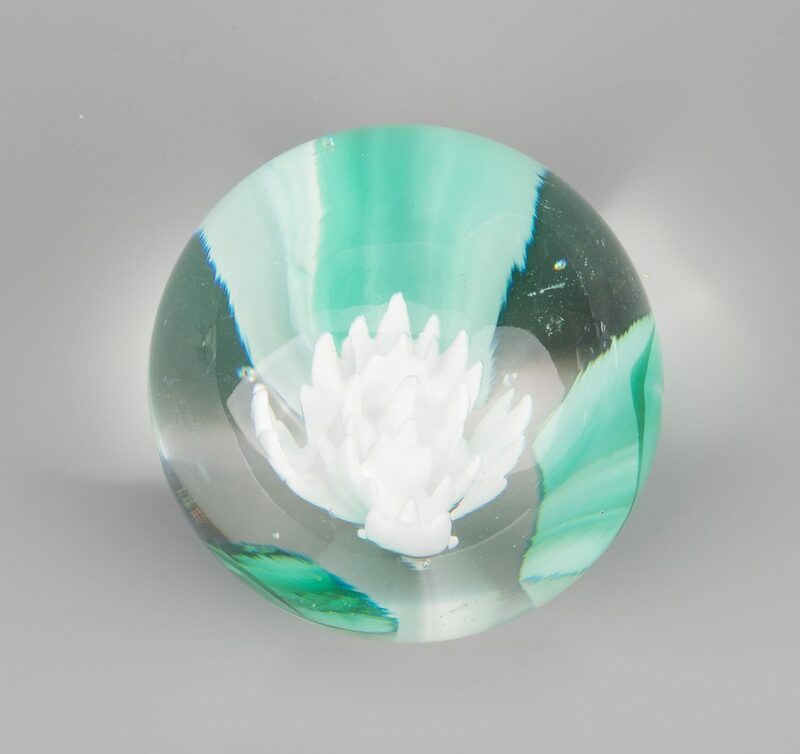 4th item: Millville-style lampwork paperweight having white flower atop three bright green leaves. Base unmarked. 3/8" dia. 20th century. CONDITION: 1st-3rd items: All excellent to very good condition. 4th item: Some minor scattered scratches.